Monday, August 21st in Jefferson City was a notable day in its history. It was in the path of totality for a solar eclipse. The event drew visitors from around the state and the country. The weather cooperated with clear skies when the total eclipse began at 1:13 in the afternoon, lasting just over two minutes. It was a celestial spectacular. The temperature dropped and the night creatures began to sound. 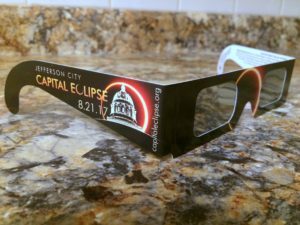 It is one of the great cosmic spectacles and the Capitol City and its residents were fortunate to be in the right place at the right time.